The United States, Mexico and Canada have launched their bid to co-host the 2026 World Cup. The joint bid was announced on Monday atop the Freedom Tower in lower Manhattan by the heads of the American, Mexican and Canadian federations. 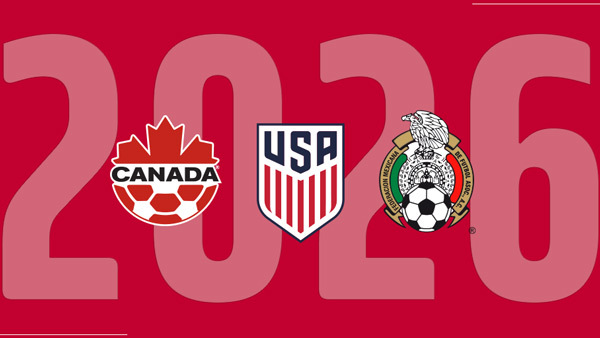 A unified bid to welcome the world to 🇨🇦🇺🇸🇲🇽 in 2026! They are seeking to host the first World Cup with an expanded 48-nation field. That's double the size of the last World Cup in North America in 1994 when the U.S. was the only host. No rival bid has emerged for the 2026 tournament, which is due to be awarded by FIFA in 2020. FIFA rules currently rule out bidders from Europe and Asia because Russia is staging the World Cup in 2018 and Qatar has the showpiece in 2022.